Swing Recliners - Who Uses a Swing Chair Recliner? Anyone building a home theater should consider installing Nirvana Swing Recliners as media seating. Watching TV becomes even better when you can swing without any ill effects that might happen if you were using a rocking chair. In addition, Nirvana leather recliners are simply fine furniture that will add to the comfort of you and your loved ones, no matter what position the chair is in. 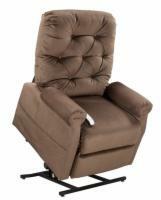 The Nirvana Swing Recliner is popular among people who have babies. Mothers, fathers, and grandparents can use the smooth swing motion that literally duplicates that of a mother's arms to soothe babies. In fact, you are both quite likely to enjoy a relaxing nap after just a few minutes in a Nirvana chair. And because Nirvana Swing Recliners are also elegant furniture pieces, you can use them in the maternity room and the living room. Perhaps you just enjoy a nice Saturday or Sunday afternoon watching sports in your recliner or watching movies at night before drifting off to sleep in your recliner. 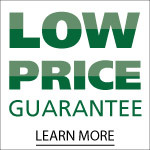 If that describes you, a Nirvana Swing Recliner can add greatly to the quality of life you are already experience. You get a smooth swinging motion, a top quality chair frame, and luxurious microfiber or top grain leather seating surfaces that will have you and your loved ones competing to get to the chair first!